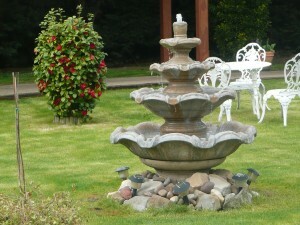 The Cottage is a 4 star B&B near Heathrow. Suitable for business people working in the area or tourists using Heathrow Airport. All of the rooms are en-suite with most of the facilities of a Heathrow Hotel. Being a small Guest House we are not open 24 hours and are a family business. Wifi is supplied free of charge, and we have a car park which is suitable for cars not anything bigger and also subject to availability. We are regularly featured in AA Britain’s Best B&B guide and have been for a few years and hope to carry on, but can only get there if recommended. For our phone number and address, please click on the link in menu on our page HOW TO FIND US. If you are in transit from Heathrow Airport or catching a flight. We are near Terminals 1,2,3, or 4. Terminal 5 is a few miles more, please check which terminal you are using as Terminal 2 is only partly open after refurbishment and some flights are changing terminals. There are a few attractions that are within driving distance of here. Mainly being Hampton Court, also Windsor is not that far away. The Cottage B&B is also busy for Twickenham Rugby and other events at Twickenham Stadium. Being June now we had a few people for Ascot Racing as Ascot Racetrack is within driving distance of here. We are now preparing for the usual busy period of Wimbledon Tennis, at this time of year London is always busy. The fountain gives a relaxing sound.